Many in America woke up Wednesday morning with what seems a collective concussion. Many pockets of the U.S. are dazed, confused, angry, but in many ways, unsurprised. So we decided to reach for a list the team decided to pulled together a while ago— songs that help get us through tough times. Feel like we missed something? Hit the fam up: Clinton Yates, Monis Khan, Jill Hudson, Kelley Carter, Kelley Evans, John X. Miller, Jerry Bembry, Danyel Smith, Lonnae O’Neal, Raina Kelley, LaToya Peterson, Karin Barry, Osman Noor, Marcus Matthews, Kofie Yeboah, Mark Wright, Caleb Wilkerson and yours truly. It takes a village to complete a comprehensive playlist. The feeling began with slavery, and families being ripped apart on the auction block. “Fruit” was written by Abel Meeropol, a Jewish high school teacher in the Bronx, New York, (and a member of the Communist party) as a poem to expose American racism. However, it was Holiday’s powerful, commanding voice that helped the song earn its induction into the Grammy Hall of Fame in 1978. Music is just what feelings sound like. And Jackson had a lot on her heart here. Recorded in response to the assassination of Mississippi civil rights leader Medgar Evers and the 16th Street Baptist Church bombing in Alabama that killed four girls, this could be the finest diss record ever recorded. Rest in peace for all eternity, Queen Nina. Dance? Or exuberant subliminal call to demonstrate? And what was the “brand-new beat”? Could it have been freedom and equality for all? When I think of the ’60s, this is the very first song I think of. The song was so indicative of growing up black in the ’60s that the very next year Redding put his own spin on what had to have been the black national anthem during the Civil Rights Movement. Released four months after the assassination of Martin Luther King Jr., the Godfather of Soul gave black America an anthem it desperately needed. One of the all-time great careers — cut short. But Hathaway gave us this anthem that made us proud to be black when the world wanted us to believe otherwise. Aretha Franklin’s version is as sterling. 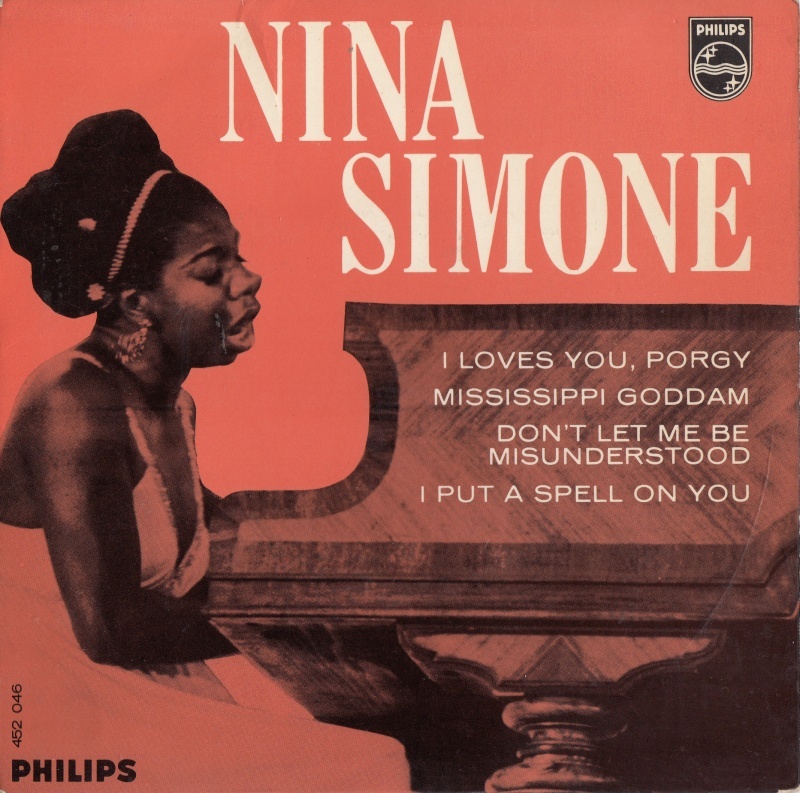 The aforementioned Nina Simone wrote it for her late friend, playwright Lorraine Hasberry. As did MeShelle NdegeOcello. And more. Heron’s final line asks one simple question. Who will survive in America? Go ahead. I’ll wait. “With the promise of a better life for all …” Don Cornelius said this while introducing the group on an episode of Soul Train back in the early ’70s. It’s a promise we’re still in search of, too. Really, it’s the whole album, What’s Goin’ On. It’s one that Berry Gordy initially opposed that ended up becoming a landmark Motown release. It addressed the bleak economic, cultural and racial conditions that scarred America in the late ’60s and early ’70s. Some things never change. The title alone would lead one to believe Zeppelin had somehow predicted Hurricane Katrina’s aftermath 34 years in advance. But with lines such as If it keeps on raining, levees gonna break can be applied to any injustice. You gave me the will to be free … A group that can inspire hope. And make you two-step at the family cookout. Get you a group that can do both. You know what’s wild? People have been saying the world has needed changing for generations now. And yet, here we are, still asking for a change. Long before R. Kelly became his mortal enemy, Ron Isley and his famous brothers were out there speaking for the people. The opening track on Songs In The Key of Life, arguably the greatest album ever created, hits home harder in times like now. Look, I’m not here to tell you how to enjoy the man’s music. But there aren’t many better ways in life to temporarily escape life’s troubles than pressing play on the great Bob Marley’s music. The way you held me / no one could tell me / That love would die. Dedicated to all the families torn up by violence of any and all kinds. Relax your mind. Let your conscience be free. God bless Maze and Frankie Beverly, for real. I don’t think there’s any better way I can put that. This is almost like “Happy Birthday.” I don’t remember where I was when first heard Bloody Sunday, I just remember always knowing about the song. Related note: I still haven’t forgiven U2 for involuntarily putting that album on my iPhone I can’t get off, though. “Find your strength in love,” Whitney said. If only the world would listen. Take a look at yourself / And make a / Change. Enough to make you shed a thug tear on a day like this. Featured on the soundtrack to Spike Lee’s School Daze. Traditional. Yet radical. Also see it sung live, here. Well I’m a black man/ Ridin’ in a Benz / How in the hell did I make these ends / Here we go, I pull over to the right / Stop the engine, keep my hands in sight. Um. Yeah. A dope song, but if there’s one thing that stresses me out about rap, it’s the use of cop sirens in the music. Watching out for the law while you’re driving is already stressful enough. Including the sounds in the music is just plain torture. This Brooklyn classic captured the frustration of growing up in inner city New York in the early ’90s. Looking back on it, I used to sing “Don’t go Jason Waterfalls.” As if Jason Waterfalls is a real person. But as I got older, the song and the issues it tackled hit home like a ton of bricks. While you laughin’ / We’re passing, passing away / So y’all go rest y’all souls. R.I.P. Uncle Charles forever. He ain’t have to go in front of his home like that. Truth be told, DJ Khaled got “THEY” from The King of Pop. Seriously, though, they really don’t seem to care about us. If it’s one thing we all have in common, we all miss somebody. Sometimes the best way to cope with a loss is to know you’re not the only one in pain. Plus, this is the song from the Set It Off soundtrack. R.I.P., Cleo. First off, read this fantastic break down Nas’ sophomore album, It Was Written. And secondly, I’d like to believe this Nas and L-Boogie collaboration would be on Malcolm X’s Spotify playlist had he been alive today. It’s hard as hell to outshine both Big Boi and Andre 3000 on the same song. But Cee-Lo, aka the black Kirby, messed around and did it. About the only thing that doesn’t hold up on this song is, And thought it’s heaven sent, we ain’t ready to see a black president. Then again, the way many still treat him, maybe that’s only halfway correct. The title track from the Atlanta duo’s classic brings it with one of my all-time favorite moments: Now question: Is every n—– with dreads for the cause? / Is every n—– with golds for the fall? Naw/ So don’t get caught up in appearance/ It’s OutKast, Aquemini: another black experience. That’s Three Stacks. One thing’s for sure and two things for certain: Black On Both Sides an incredible album over 15 years later. Making it even better is that it’s one of rap’s undisputed classics led by his most recognizable ode. Music has always been therapy. Even in times of grief, it’s always been enough to get us from one day to the next. Shout-out to 2009’s “Priority” as well. Not many people ever made drama sound better than The Queen of Hip-Hop Soul. Everyday it’s been the same ol’ thing, on my block. Classic visuals complement an already classic song from the dirty south OG. So I / Pull over to the side of the road / And I heard ‘Son do you know why I’m stopping you for?’ / Cause I’m young and I’m black and my hat’s real low. Um. Hello. Also, try this one. Hope. There’s a shortage of it right now. But at least Arie’s still confident. Life is something else, man. Sometimes you just have to tell yourself, despite all the pain, life is going to be alright. 21st century, oh what a shame/ What a shame race, race still matters/ A race to what and where we goin’/ We in the same boat, but I’m the only one rowing. When you on the corners there’s too much drama/ Living with the police right behind ya/ It’s always more than a slight reminder/ We living in a war zone like Rwanda. I just hope when he calls it quits (hoping it’s 20 years from now) people give Black Thought his credit as one of the greatest rappers of all time. This is a cold war. You better know what you’re fighting for. Word. Don’t get it twisted. There’s a deeper meaning behind the title of the song. And, yes, it’s true. Jay Z did, in fact, arrive on the day Fred Hampton died (Dec. 4, 1969). But it’s this Kanye — the socially aware, sees the world outside of his own vantage point, Kanye — whom fans have yearned for in the five years since. The best song’s Cornrow Kenny ever recorded tackles the difficult topic of survivor’s remorse. Truth be told, this list could be filled with Killer Mike/Run The Jewels records, but Mike’s first verse, especially given the events in Minnesota, hit home something serious. Most artists don’t pass up a primetime opportunity to perform music that wasn’t on their new album. But with the country still reeling from the high-profile police-related deaths of Eric Garner and Michael Brown, Cole decided to perform a previously unheard record calling for social justice. They might have fired me had I forgotten Lamar’s new age anthem. My grandma is my heart, too, Sean. Who you supposed to call when the cops the one shooting you? Nobody. By itself, the record was already dope, and worthy of being an addition to the soundtrack of 2016. But, really, it’s Beyonce and Lamar’s performance at last month’s BET Awards that really, truly puts the song over the top. The Chicago kid tackles the issues of the water crisis in Flint, Michigan, police brutality and violence in his hometown with incredible introspection. “16 Shots” is also a must listen while we’re on the topic of Mensa, an obvious reference to the slaying of LaQuan McDonald by a Chicago police officer. and: more Aux Cord Chronicles, here.